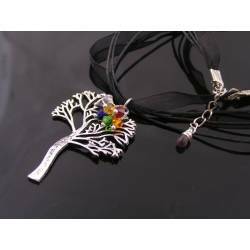 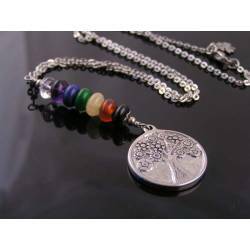 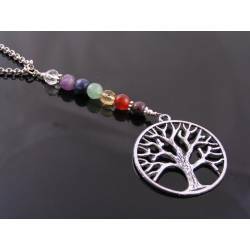 A smaller tree of life charm is connected to a necklace with chakra crystals. 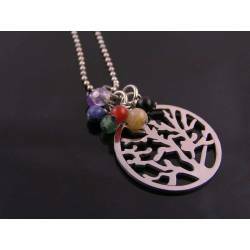 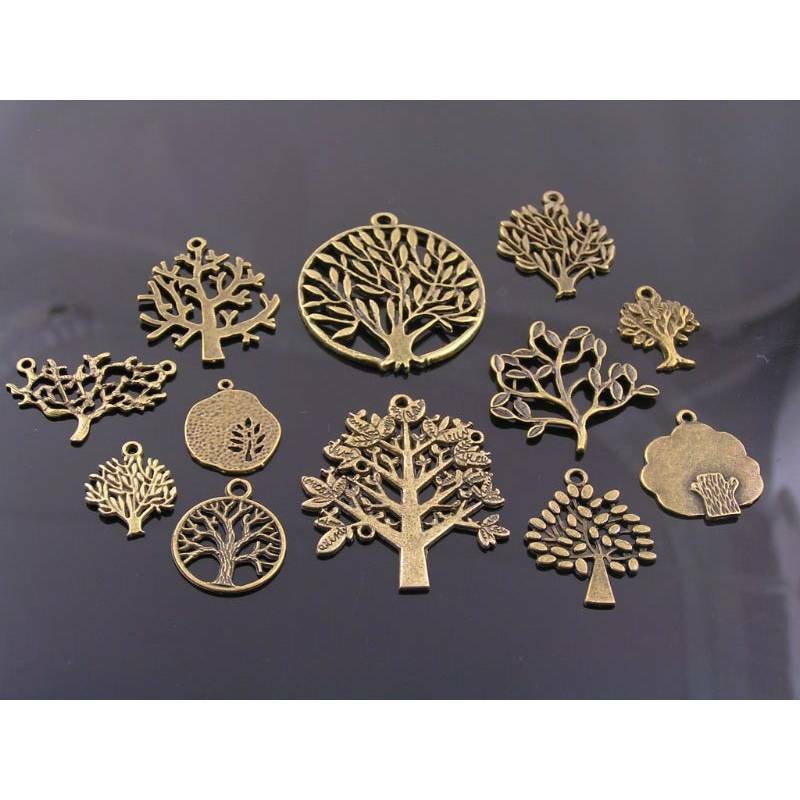 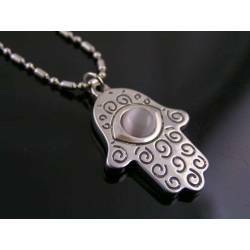 This is a very cute tree of life charm, measuring only 15mm in length (just the tree). It is attached to a classic trace chain. 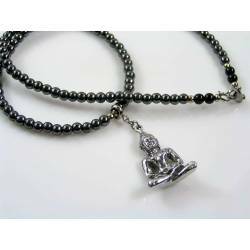 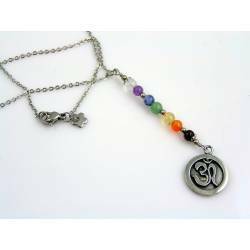 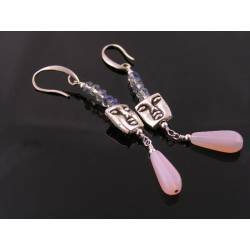 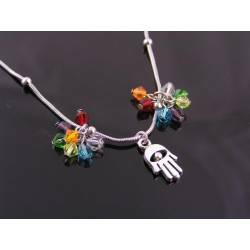 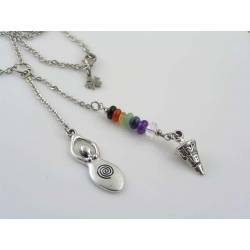 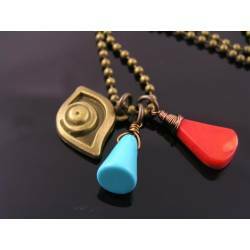 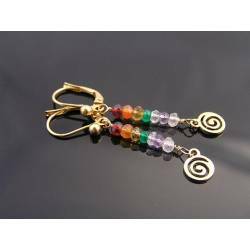 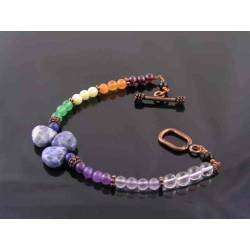 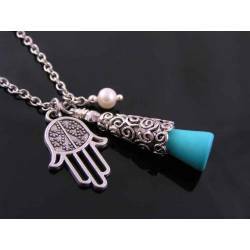 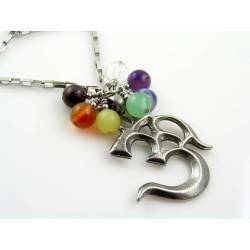 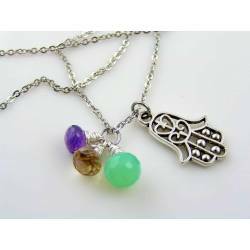 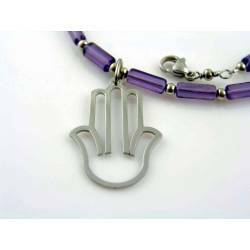 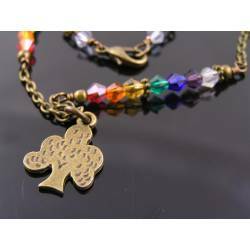 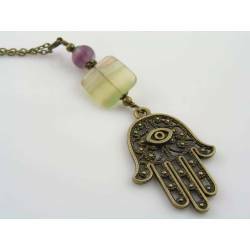 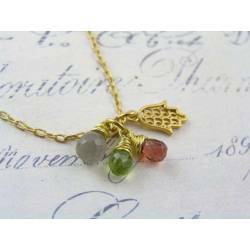 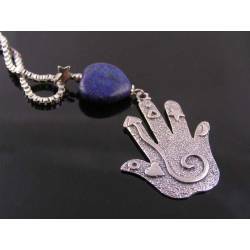 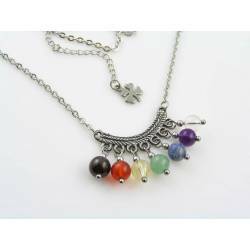 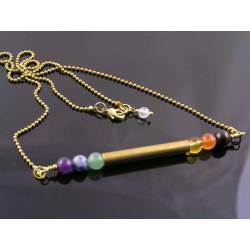 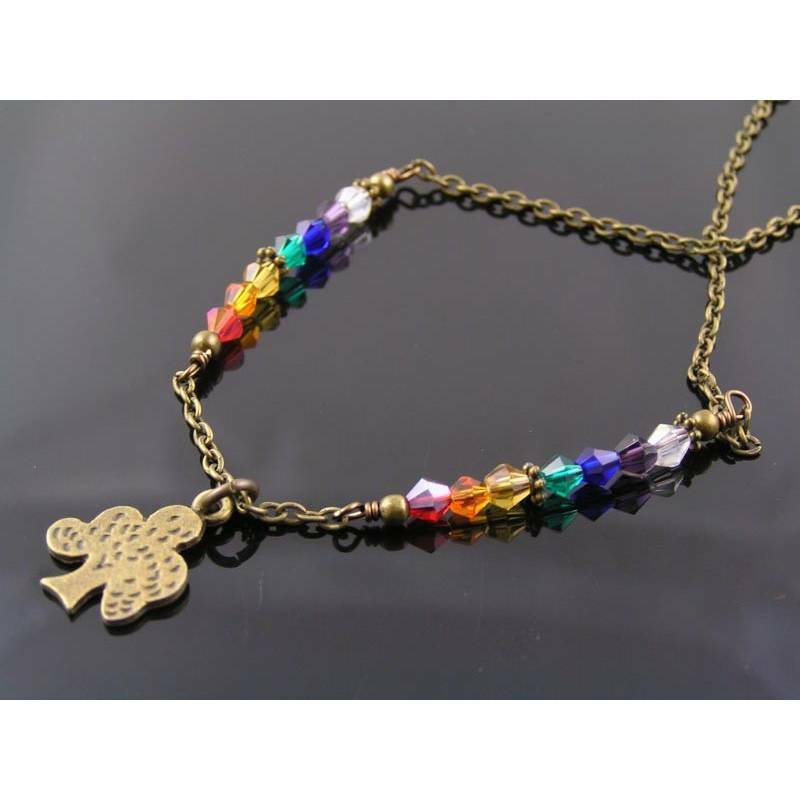 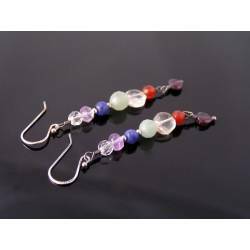 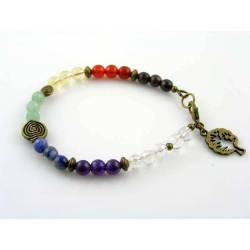 The chain has two long links attached which are set with 7 crystals in all chakra colours. 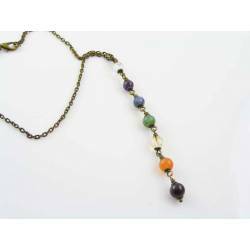 The chain measures 52cm in length and closes with a lobster claw clasp. There are two crystal links attached to both sides of the clasp to finish the chain off nicely. 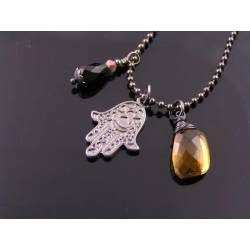 7 - Clear - (Wisdom and Understanding).